Several websites have reported that Fujifilm won’t go full frame. Apparently the news has come about after Photokina. I hope they stick to that philosophy. I tried Fujifilm for a while with an XE-1 and the 18-55 lens. It wasn’t too bad but for various reasons I ended up selling it and the 50-230 XC lens I used for the telephoto end of things. It was a bit unfortunate as at the time I was contemplating a photo kit comprising XE series and XT series bodies. Alas it was not to be. I don’t have any problem with the APSC format at all. In fact for what I do I think it is somewhat of a sweet spot. For most amateurs the APSC size sensor is enough. My current DSLR is Nikon DX (Nikon’s version of APSC). Thinking about it all my DSLRs have been DX and I haven’t had the urge to go any bigger in sensor size. 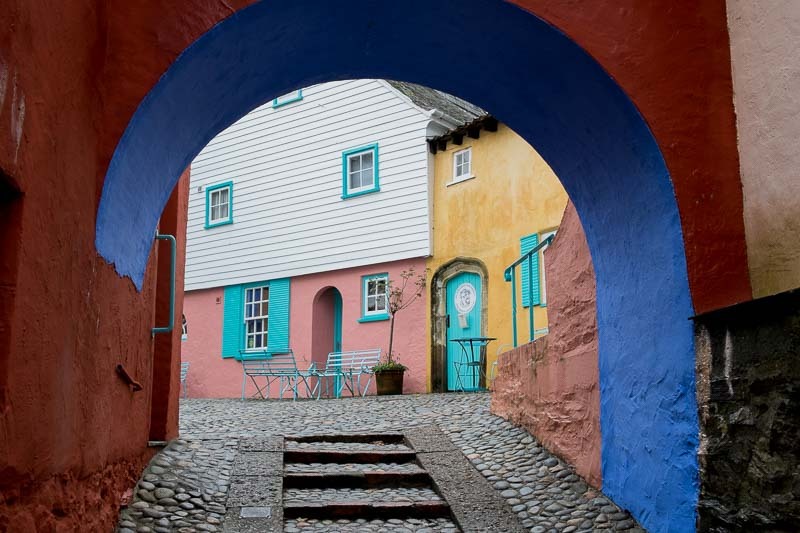 Portmeirion, North Wales – Fuji XE-1 with 18-55mm F2.8-4 lens. After the Nikon series 1 debacle I’m not sure we can trust them to continue with their DX line. Nikon have alluded to the premise of less units and more value. In other words fewer cameras at higher prices. This seems at odds with the mass market consumer end DX is aimed at. The fact that Nikon never really filled out the DX lens line properly doesn’t earn them any points. They iterated consumer zooms unnecessarily. At the same time the DX bodies received what can only be described as ‘meh’ upgrades. You also get the feeling they were forced to release the DX body they didn’t want to do. The D500. So long term I hope Fujifilm keep to their promise statement that they won’t go full frame and instead keep the APSC format going together with their version of medium format. Because the m43 market will be squeezed by smartphones. This would also imply any smaller format will be equally squeezed. The full frame mirrorless wars are just starting. At a time when camera sales are falling there appears to be a Dodo like rush to get more fish into a shrinking pond. When the splashing stops there could well be some casualties. If you’ve spent your R&D and tooling budgets gambling on full frame mirrorless and the sales don’t come to recoup those costs…well there may not be enough left in the piggy bank to change direction again. But you’ve said Fujifilm are expensive. Yes I have. I consider the lenses overpriced. You could argue they hold their value well though . The XT-3 is currently £1349 here in the UK (as of date of post) body only. For me that’s a lot of money for an APSC body.The XE-3 body only is £699. Compared to other APSC body offerings Fujifilm do seem to command a premium. It’s a long game though. If by charging these prices Fujifilm stay in for the long game that can only be a good thing. A camera is part of a system. If the system gets neglected by one manufacturer while another produces what people want that could well be worth paying a bit extra for. Should Nikon (or any other manufacturer) continue to neglect part of their range the consequences are obvious. Others will step in to fill the void. It’s no good producing cheaper bodies with a mediocre lens line up hoping you can encourage people to move up a model or three. It might have worked years ago but I’m not so sure it works now. If Fujifilm can keep their system offerings compelling I think their future in the APSC market could be a good one. The caveat is whether they have the will to control their pricing strategy to remain competitive.